[By Nick, New for end of 2014] I hope you all had a Merry Christmas and a Happy Holidays! 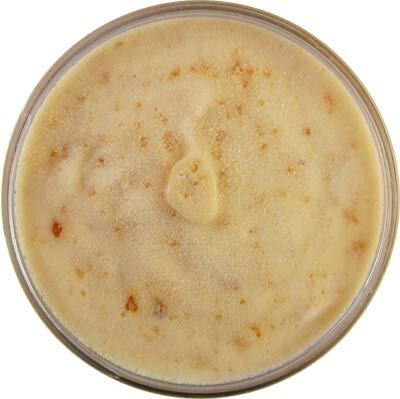 Today we're going to take a look at a free sample of one of the new seasonal pint flavors being offered by the Gelato Fiasco. Inspired by sap on snow. I'm a lover of all things maple. Maple leaf cookies have been a staple of my childhood and life. 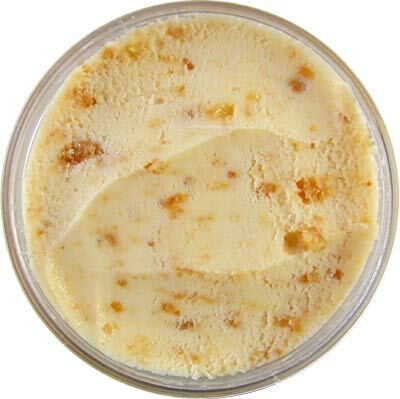 I've been a fan of maple walnut ice cream as well but you don't really see too many other maple flavors out there. Hopefully there's a trend going on since Perry's did release that Maple Cheesecake flavor not too long ago. To be honest, this flavor right here is the one I was most excited about out of all their new products. 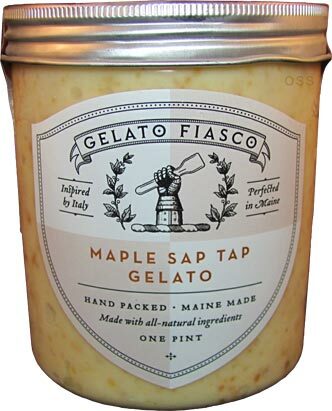 I mean not only is it maple gelato but they mix in my other love, toffee as well?? Not just any toffee either, walnut toffee! I didn't even know that was a thing and I'm so ready to devour sample this pint. The Gelato Fiasco is not shy with the toffee one bit. It is literally everywhere and in every spoonful. The flavor is much different than the traditional toffee you'd be accustomed to. It has a more caramelized walnut quality to it which is quite delicious.. Walnuts tend to get their flavors masked by other ingredients but that's not the case here. The toffee also has a perfect texture. It has the right amount of crunch to it without it being too hard to bite. Being broken up into tiny pieces already helps that cause. Oh wait, I've gotten so caught up with my enjoyment of the toffee that I never mentioned the base. In all honesty, this is the best maple base I've had. This tastes like real, pure 100% maple syrup deliciousness. 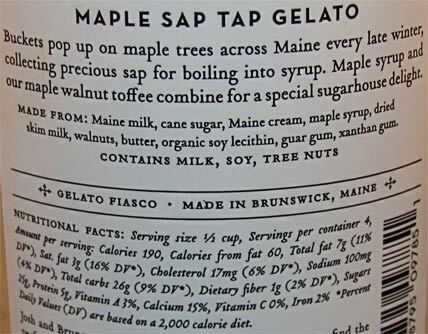 There's nothing artificial or off like I've experienced with countless other maple flavors. Factor in The Gelato Fiasco's velvety texture and this is a perfectly executed gelato. This is as good as it gets for a maple lover like me. Luckily due to a shipment error, I received two pints of this flavor so I'll be able to relive this blissful experience again while I wait for retailers to stock it near me!